HALLESCHES HAUS GENERAL STORE is a super special multi purpose space located just off Hallesches Haus U-Bahn Station (U1 or U6). To get here just hop on the U-Bahn and as soon as you exit Hallesches Haus Station, cross the kanal and walk about 100 meters towards the gorgeous looking brick building. Housed inside a 1902 stunning Post Office red brick building, this mixed space is hard to describe. 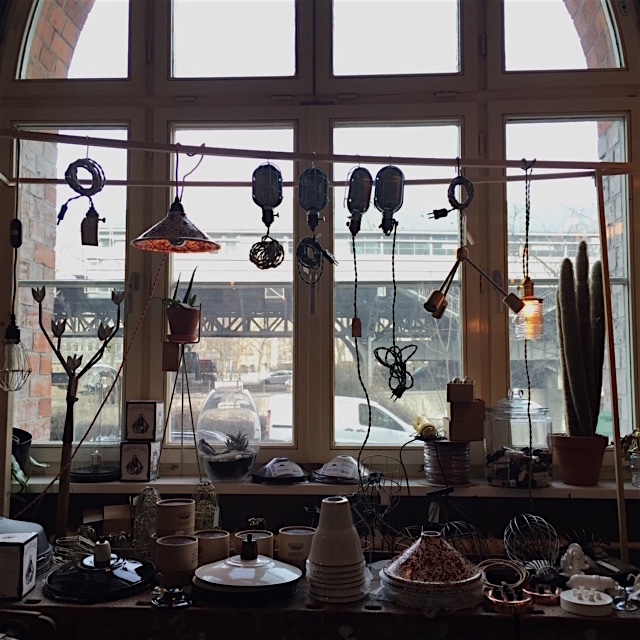 A meticulously curated general store, beautiful café and happening lunch place where some Berlin’s creatives hang out. We actually come here quite often. No wonder. We simply love this space. Picture from HH’s Facebook Page. From a design/style perspective there are few places in Berlin that deliver grand and cool at the same time. HALLESCHES HAUS GENERAL STORE does. Spend some time taking in the industrial design elements. Admire the stunning lighting fixtures. Walk all the way to the back of the space and hang out with friends on the back couch. The food offerings here are simple yet consistently solid. We love watching the kitchen action through the general store’s entrance glass windows. From cookies to salads/sandwiches and quiches and daily specials we have always eaten well here. 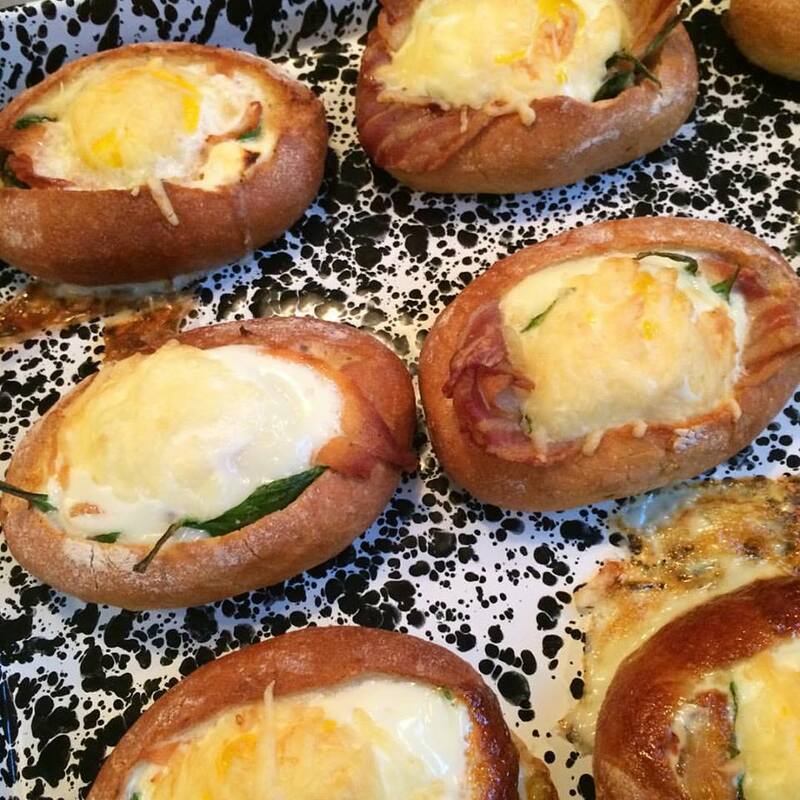 Make sure to try the delectable “Egg in a basket”. The coffee bar is also top notch. Our favorite coffee drink here is, of course, the flat white. 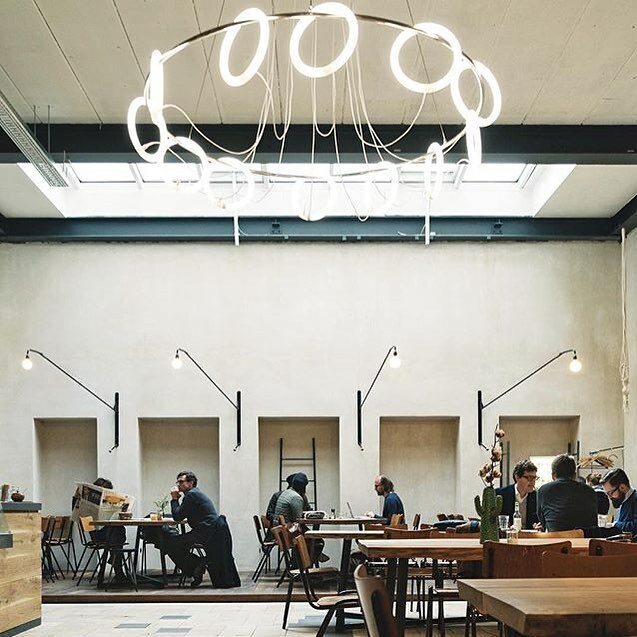 Hallesches Haus General Store is just the perfect place for a light meal inside an inspiring space. Egg in a Basket. HH’s Facebook Page Picture. Hallesches Haus also offers brunch on Saturdays and there is often some kind of special event happening here. Keep an eye out on their Facebook page. During the warmer months keep an eye out for great events including nomad cinema nights and parties. Before you leave, make sure to spend sometime browsing through the store area. We are particularly obsessed by the “do it yourself” industrial lighting fixture area. Their textiles are also beautiful. There are a couple of super cool street art murals very close by. Just cross the kanal back towards Hallesches Haus Station and walk towards Mehringplatz. Explore the Social Housing complex and discover the murals. Our favorite is “Make art, not War” by Shepard Fairy (Obey Giant). For more street art in Berlin check out our STREET ART BERLIN GUIDE. 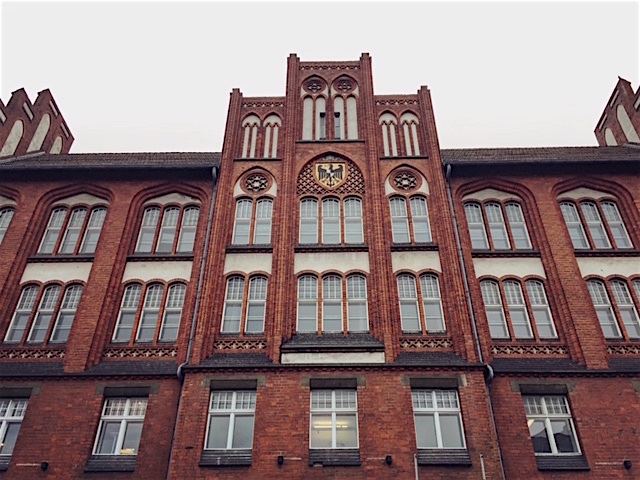 Address: Tempelhofer Ufer 1, Berlin 10961.